Not a very productive day as far as varieties of birds were concerned, but it was a beautiful day to be out on the lake. I put in about 3:30 pm at the Leadvale boat ramp on the east end of Douglas lake, and paddled west into the Ten Islands area. The ten islands are still under water until the lake level drops a bit more, but there are lots of shallows where migratory birds will stop to rest and feed as they journey south. After a very pleasant afternoon on the water, I started for home about 6:15 PM. 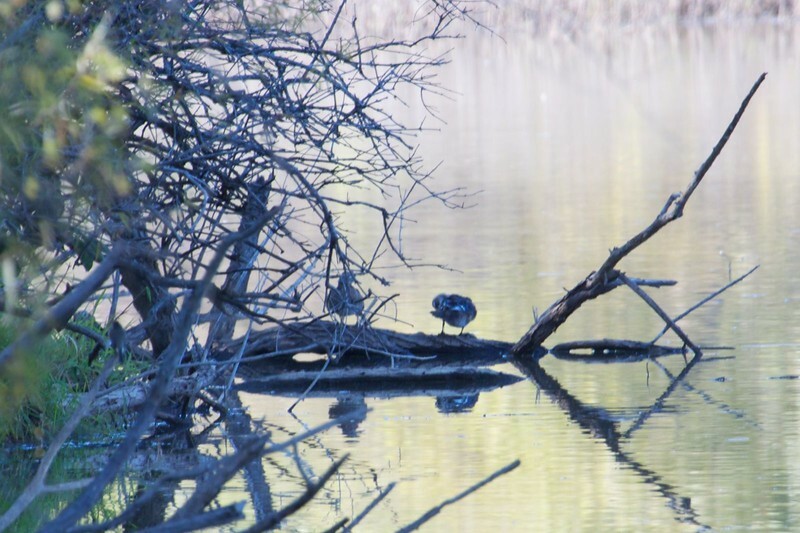 Not a good shot, but I think these are Wood Ducks.